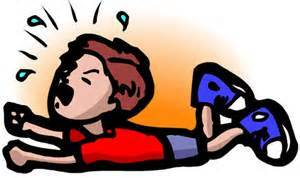 How many times have students been pigeon-holed into the category of displaying bad or negative behavior when opposing class work or during transitions from a state of play or break back to the classroom and vice versa? The Emotional Brain that is highlighted are two specific parts of the limbic system, the amygdala and the hypothalamus. 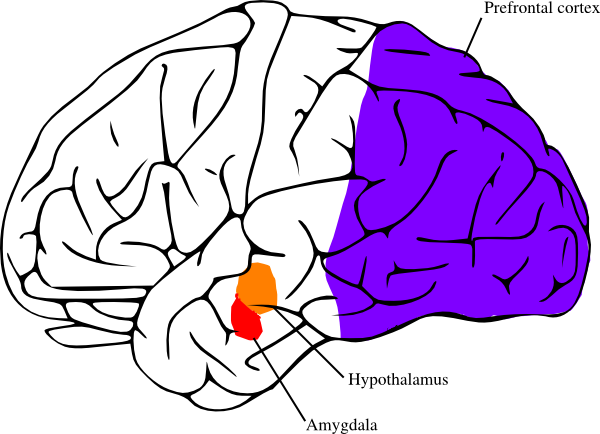 The amygdala controls the brain’s ability to coordinate many responses to emotional stimuli, including endocrine, autonomic, and behavioral responses. Stress, anxiety, and fear are primary stimuli that produce responses. Mediation by the amygdala allows control among the stimuli. The hypothalamus plays a significant role in the endocrine system and are effected by the amygdala. It is responsible for maintaining your body’s internal balance, which is known as homeostasis. This includes the heart rate, blood pressure, fluid and electrolyte balance, appetite, sleep cycles and is the key connector between the endocrine system (glands and hormones) and the nervous system. Now we are painting this picture of the brain developing at a functionally optimal manner; without aberrations from either genetic means or environmental factors. However, when faced with students who have underlying imaging differences in brain imaging due to the said factors and manifest a type of negative behavior that can easily be mistaken and categorized as a regular tantrum, the subtle elevations in amygdala and hypothalamic responses are now pushed to abnormally erratic levels in these brains. type shape. It is oblong and with heavy concentration on temporal and occipital real estate versus the butterfly formation of the normal brain. What is also fascinating is the corpus callosum (where part of the amygdala and hypothalamus are housed) is lighter in the ADHD brain. What that means is that there is no clear path of communication between both hemispheres as compared to that of a normal brain. The blues indicate calm sections of the brains and the greens are considered to be the brain in an even keeled state, balanced and not in fight-flight mode. With Adderall, the brain is utilized in full functional capacity, the chemical connections between neurotransmitters is efficient and there are little if any underutilized processing areas. 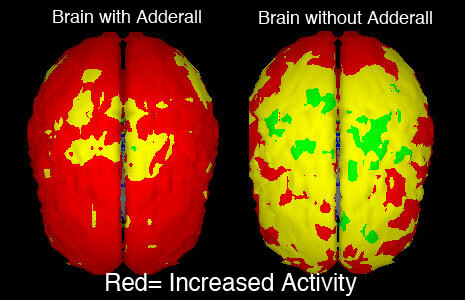 When Adderall is wearing off, the results are unimaginable: the only sections of the brain that have any residual function left are the orbitofrontal area of the Pre Frontal Cortex (responsible for sensory integration and some decision making), and spotty areas across the 4 lobes. What is fascinating to mention here is the loss of Adderall effects are from back to front of the cerebrum. 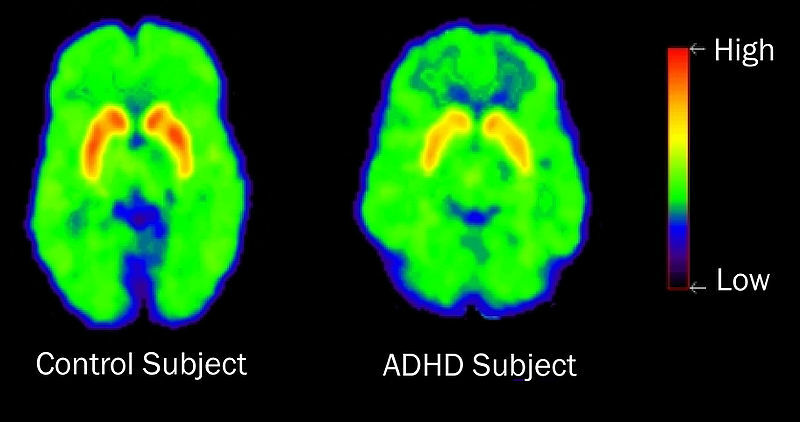 These images provide a very clear picture of the typical versus atypical brain, especially the differences between one with ADHD and one without. If ony it were that easy as a classroom teacher to distinguish a student with ADHD from a student with sensory overload. The list below is not as ‘yellow’ and ‘red’ as the brains above, but hopefully it will provide clarity and a concrete direction for you to take in order to best meet the needs of your students. Sensory Overload or Negative Behavior? For students with ADHD, these symptoms as well as sensory overload meltdowns will be manifested consistently throughout the day across environments, unless the student is highly engaged in a preferred activity. 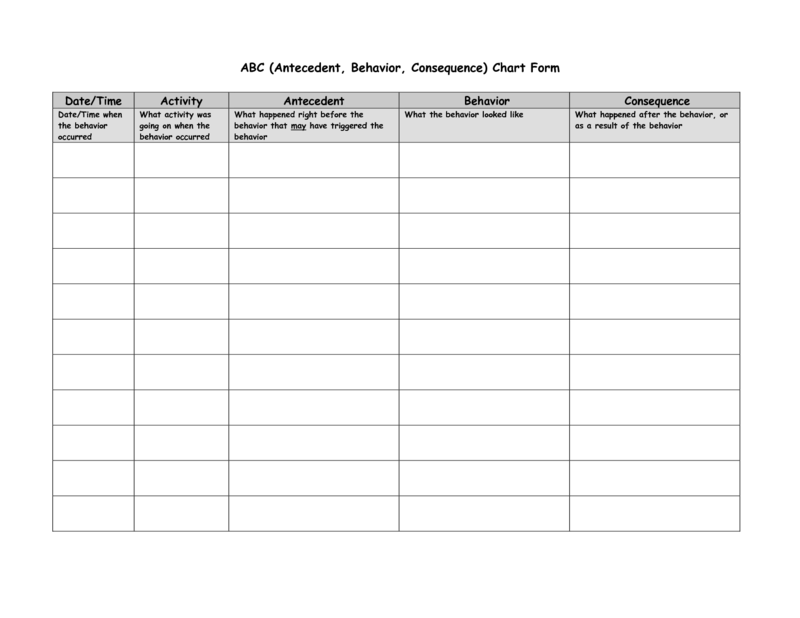 Students presenting with negative behaviors will have meltdowns at specific yet intermittent periods of the day or throughout the day as will be shown in the ABC Chart above. For example, when the medication is wearing off, one may see a spike in ADHD symptoms in any combination. Once you can answer when, where, how long and make valid hypotheses as to why students are displaying the behaviors below, you should be able to have a pretty strong understanding as to whether your student is having a meltdown because of learned negative behaviors or as a result of having an ADHD brain on sensory overload.